When the Germans started bombing London, it was quickly realised that there was a large area along the Thames estuary, which was undefended. Planes could approach the city and get quite close before having to fly over land so it was decided to provide some off shore defence platforms which would be permanently manned and provide artillery support. 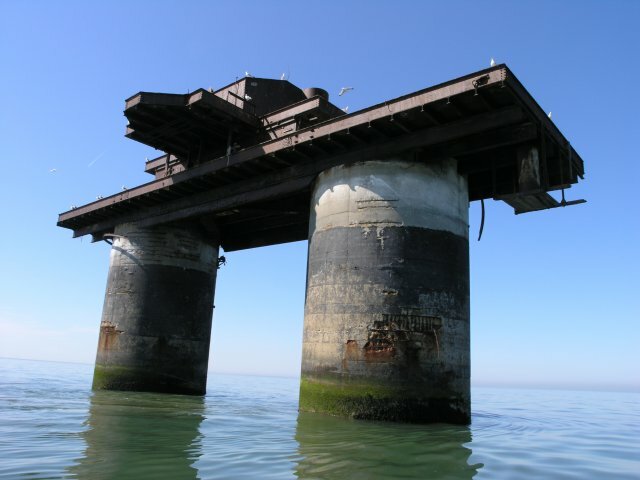 Several platform designs were considered for what was originally called the Thames Estuary Special Defence Units. 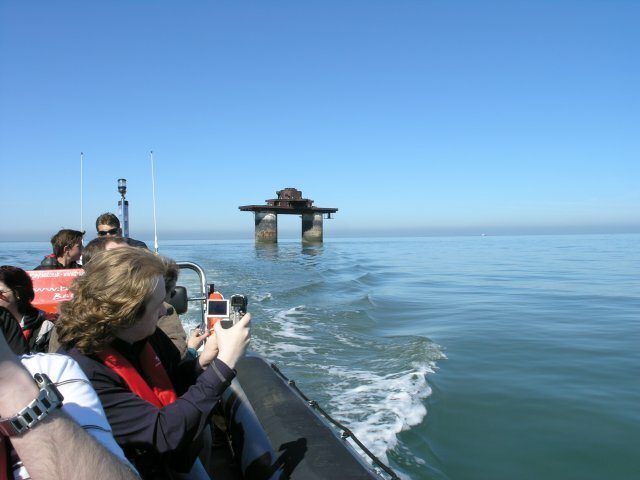 The platform that was eventually built was designed by architect Guy Maunsell and today, these forts are known as the Maunsell Forts. The platform was basic in design. Two hollow re-enforced pillars were built, in which several "rooms" were built for the accommodation of 100 men. 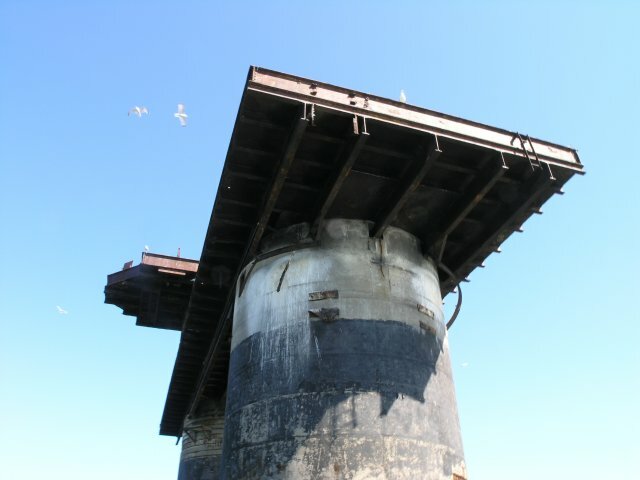 On top of the two pillars, a platform about the size of a basket ball pitch was placed on which several gun placements could be mounted. The armaments were 3.75 inch AA guns and Bofors 40mm guns. 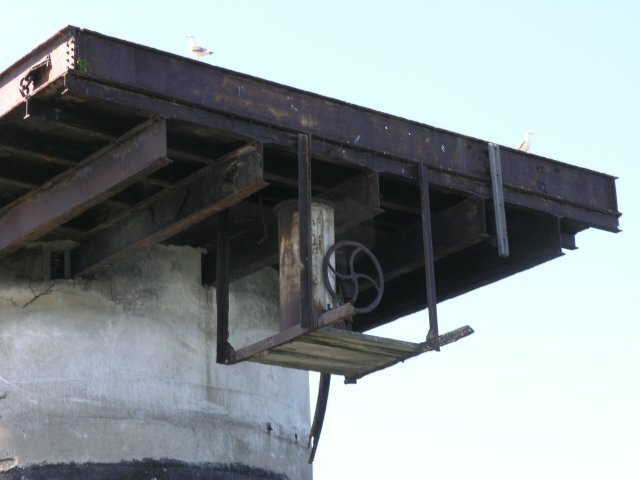 On top of the gun platform a small upper deck was constructed and on top of this a radar platform was built. 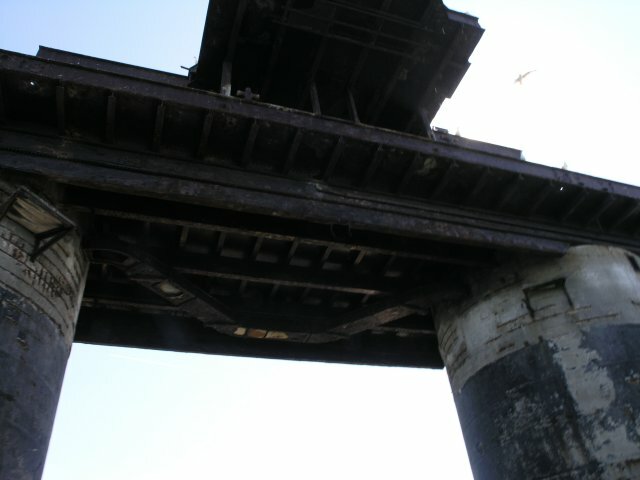 Construction work started in 1941, in dry docks where a pontoon barge was constructed on which the two pillars and gun platform was then mounted. The pontoon barge was then towed out to its desired position and the barge flooded. The whole fort would then sink to the ground where it would become firmly fixed to the seabed. Knock John reached its final position and was sunk on 1st August 1942. It was the forth and last of its kind. The other three were, in order of placement, Roughs Tower, Sunk Head Tower and Tongue Sands. Tongue Sands was destroyed by a storm in the mid-1990s. Roughs Tower was occupied in 1967 by Roy Bates and his family. 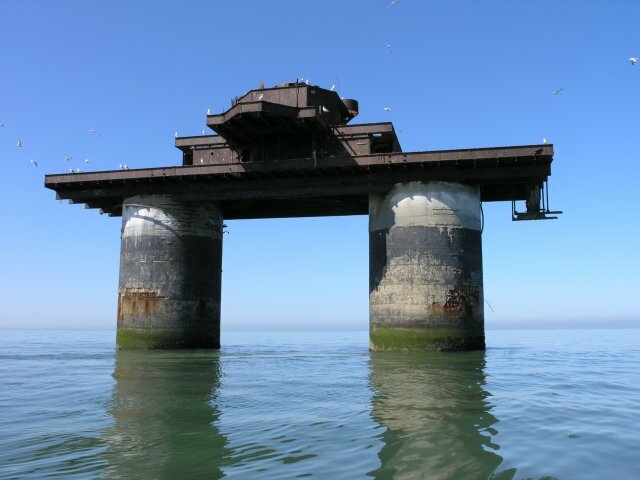 He declared it as the independant principality of Sealand on September 2nd, 1967 and is occupied to this day by the crowned prince Roy. Sunk Head Tower was destroyed by the military on 21st August 1967, using 2,220 lbs of explosives in case someone else had similar ideas and to prevent pirate radio stations operating from the platform. The fortress was designed to be self sufficient for over a month - which was important as the rough weather in the estuary often made it inaccessible for long periods of time. The platform was in operation the moment it was sunk - the first compliment of 100 men had boarded the platform shortly before it was towed to its working location. It's hard to believe today that so many people would live on such a remote location. 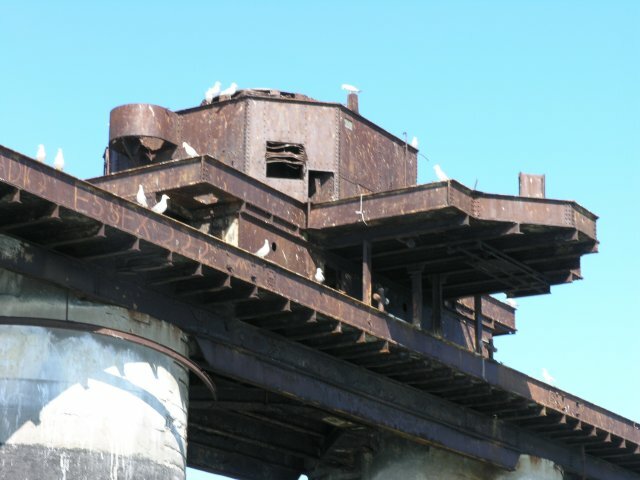 After hostilities ended, the platform was vacated but was maintained until 1956 when it was officially abandoned. It was believed at the time that the elements would quickly claim the platform and that they would be of little use to anyone else. Nothing could be further from the truth. During the 1960s, when the only radio broadcasting in the UK was the BBC, a loop hole in the law meant that pirate radio stations could broadcast offshore if they were more than 3 miles beyond the coast. First boats were used, then it was realised that the offshore platforms could be used. A succession of radio stations started broadcasting from these platforms. On 27th October 1965, Radio Essex started broadcasting from the platform and continued broadcasting until 6th October 1966, when it was renamed BBMS (Britain's Better Music Station), which ceased transmission on 25th December 1966. Today, the platform stands silently where it has stood for the last 60 years. It has now been welded shut and will no doubt remain in its current location for many more years.